We all live a chaotic life and struggle to balance work, social and personal life. And A clean and organized space makes a world of difference in our daily lives. So, keep your home organized & clutter free to prevent it from becoming a clutter where things get lost and misplaced. 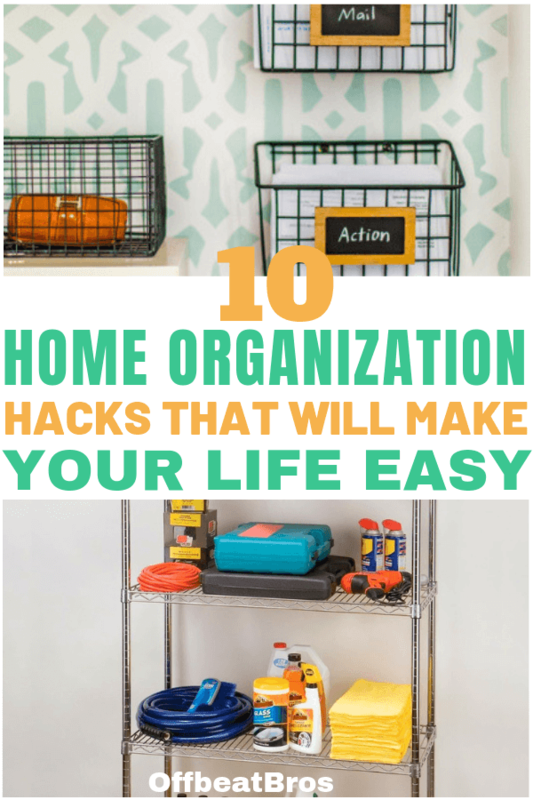 Home Organization sure takes effort but these genius hacks will make everything easy for you. 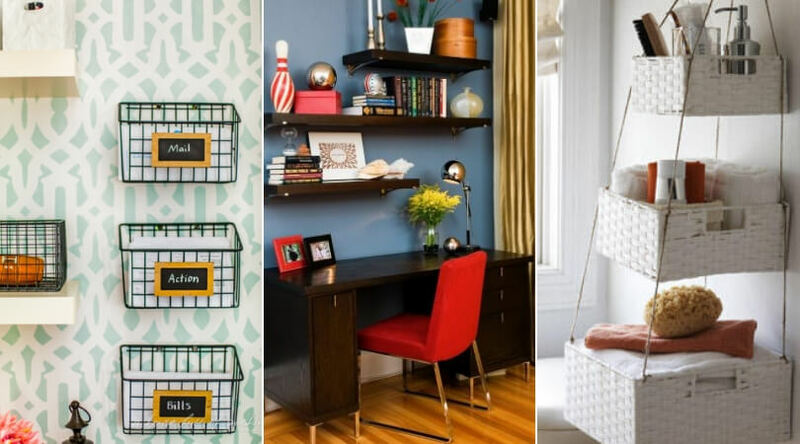 Try some of the smart storage solutions and genius home organization hacks below in order to get an all seasoned organized home and let us know your favorites for keeping your apartment together in the comments below. Great idea as storage doubling up as decoration. 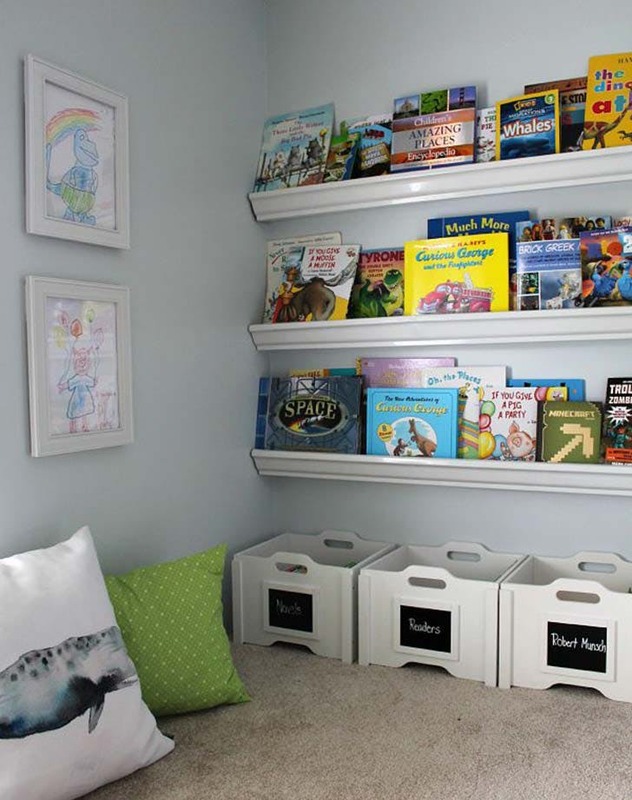 These bookshelves are really easy to make and are a highly inexpensive way to display books, plus it looks so good. Organize your bathroom by adding extra space using these hanging baskets. It’s a pretty good idea to place necessary items there such as towels, tissue rolls, hand washes, etc. 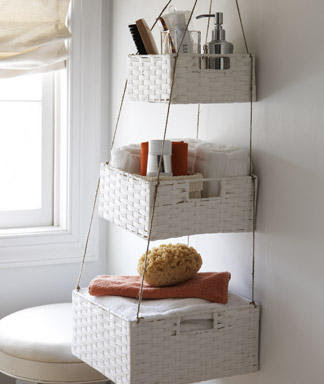 With these baskets holding everything, your bathroom will become easily manageable. Get similar baskets on Amazon here. 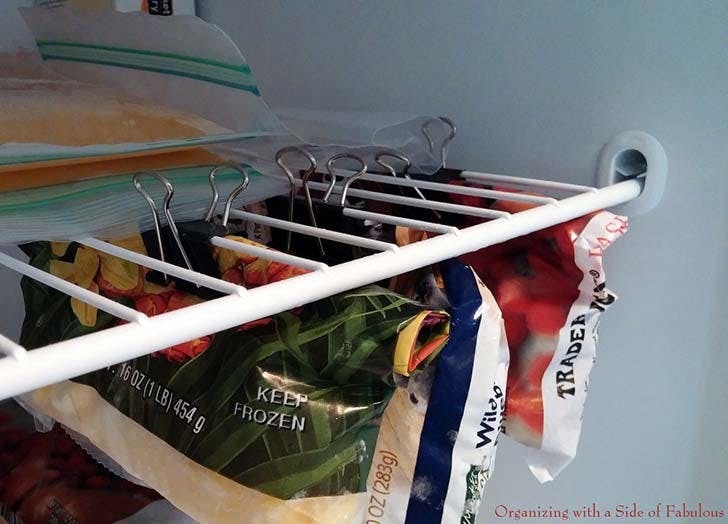 Related: Brilliant Fridge Organization ideas for a clean and organized fridge. While we strive to keep every place of house organized, the one place most of us forget to organize is the garage. Garage has a lot of importance as you keep your car there so marinating it is important. You just need a rolling shelf to organize the stuff you have in garage and wheels aids for its easy movement around the place. 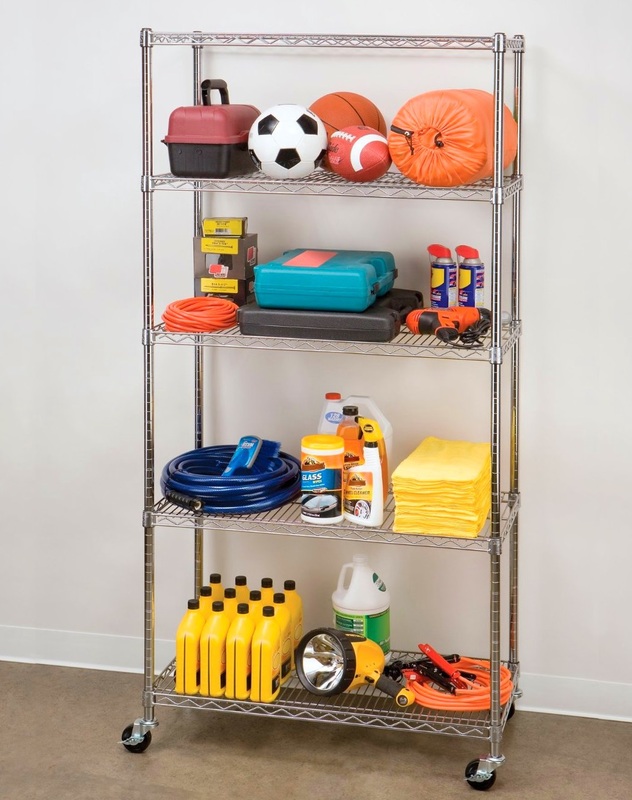 Garage organization is important as it’s home to a lot of stuff including your car. Related: Smart Garage organization ideas for a perfect garage. A brilliant idea to keep your farm fresh produce easily accessible and organized if you don’t have enough counter space is to use hanging fruit baskets. All you need are a few baskets and spray them with your favorite color or as per the wall and hang them at a convenient place. This will keep your kitchen organized and clean. Click here to buy the baskets. Organizing your mails is definitely a good idea, so you don’t have to sort through everything to find bills or things on which action is needed. 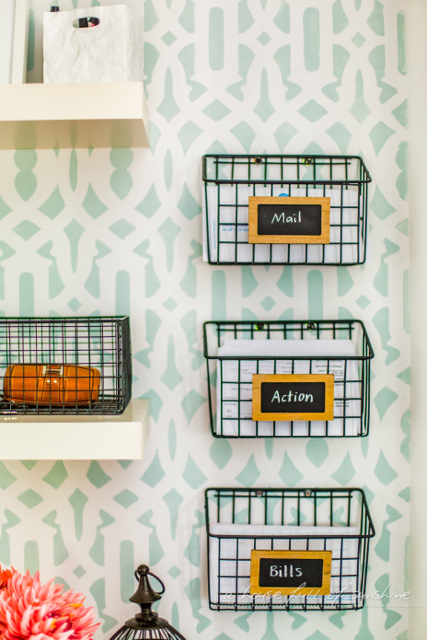 And you can do all this by repurposing some wire baskets to use as mail organizers. This will help the mailmen as well. 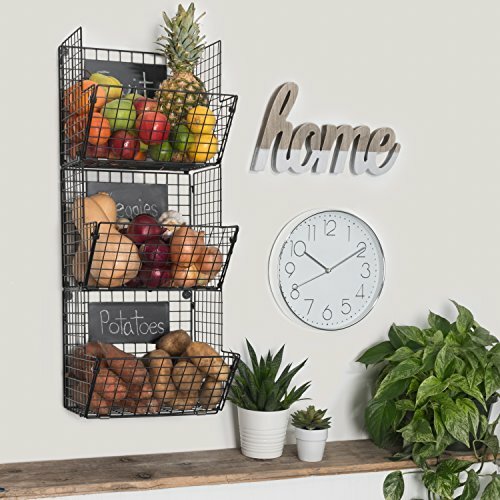 Get similar baskets from Amazon here. Related: Overwhelmed by Paper? 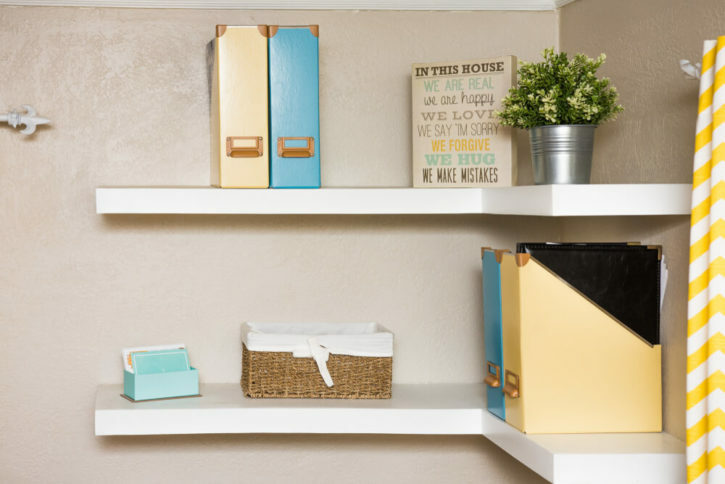 You must see these clever paper organization ideas. 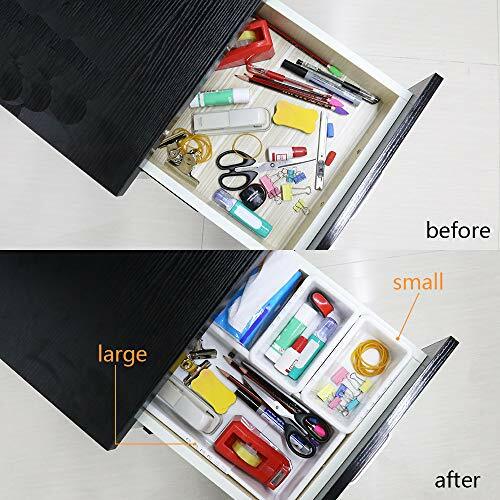 Messy Drawers, No more..!!! Get these plastic bins from Amazon and keep your drawer organized forever. Related: How to keep drawers at home organized? 8. Utilize Kitchen Cabinet Doors! 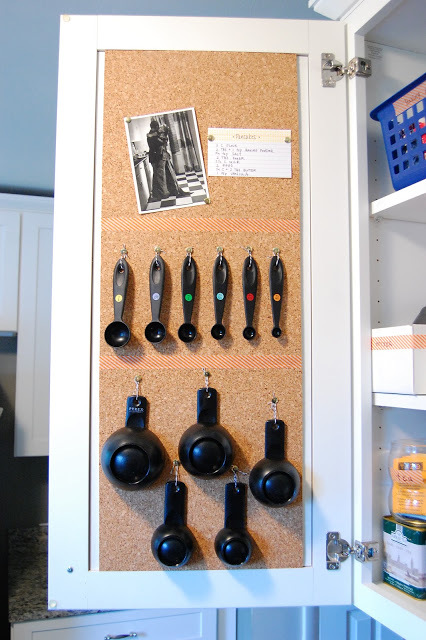 Just by using a cork board you can utilize the cabinet doors in your kitchen and you can use it to hang utensils such as measuring cups, pans, and spoons with them. So space saving and organized! Related: Organize your kitchen cabinets with these brilliant ideas. True to their name, floating shelves give the illusion of being suspended in the air without any visible sign of support. Using Floating shelves to organize your home is a fantastic idea especially if your home is not that spacious. In fact, many homes choose to incorporate floating shelves into their decor because they are both beautiful and functional. You can keep books there, store important articles related to everyday use and so much more. 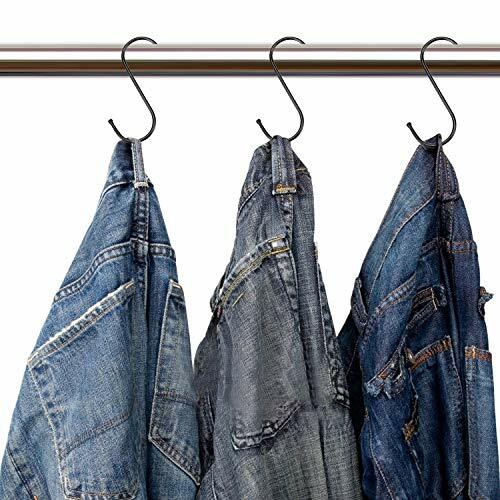 Denim takes a lot of space in your closet. And if you are you a jeans lover, then you ought to have a lot of them in your closet due to which your wardrobe might appear quite messy. Use S hooks to hang your jeans and see the difference! This is an amazing hack to keep the closet organized. If you found these hacks useful, then do share the post!